The County Government of Nandi through its department of Agriculture & Cooperative Development is holding a three day Agricultural Exhibition Field Day at Ndubusat Centre in Chepkunyuk ward, Nandi Hills Sub-County. 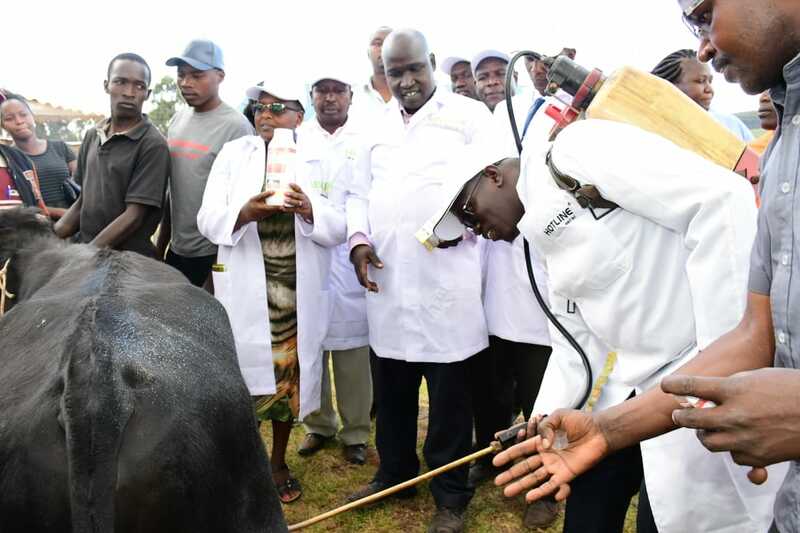 While officially opening the Field Day on Thursday, the CECM Agriculture & Cooperative Development Dr. Kiplimo Araap Lagat launched a Free Livestock Deworming program in collaboration with Sidai Africa Limited; a fully vertically-integrated company supplying quality livestock and crop inputs to farmers. 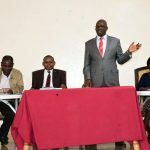 In his address, Dr Lagat said that the program which compliments the government’s plan of disease control forms part of a bigger picture of ensuring healthy dairy animals in the county. He added that the objective of the exhibition is to promote new & best agricultural practices to farmers in the ward while demonstrating and training farmers on disease control among other sustainable agripractices. 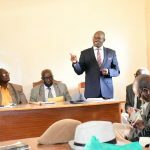 The area MCA Dr. Paul Sanga appreciated the department of Agriculture for supporting the field and their day to day extension services. 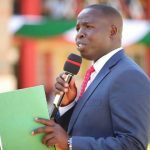 Also present was the director veterinary services Dr. Samson Bitok who urged farmers to make use of the subsidized AI program by the county government to get quality breeds for their animals. Partners present in the exhibition included Meru Greens, Lelbren Dairies, Sidai, Herbex and Kenya Cooperative Creameries (KCC). Agricultural exhibitions are very important and rewarding experience to many farmers as it help them learn and acquire more knowledge and skills in modern agricultural practices.